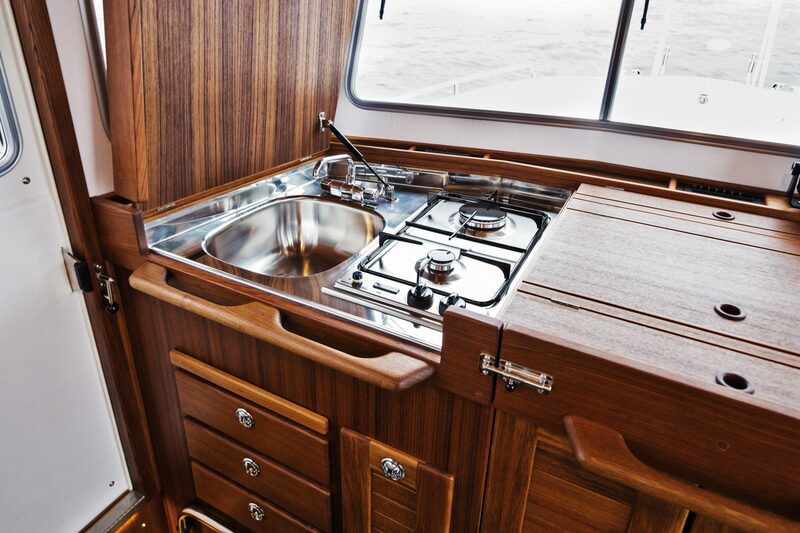 T32 may have the same look and layout as other models in the Targa range. 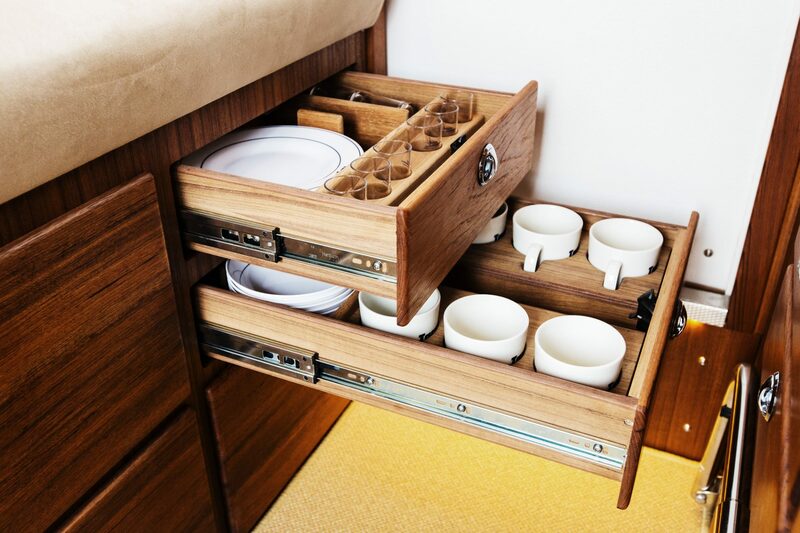 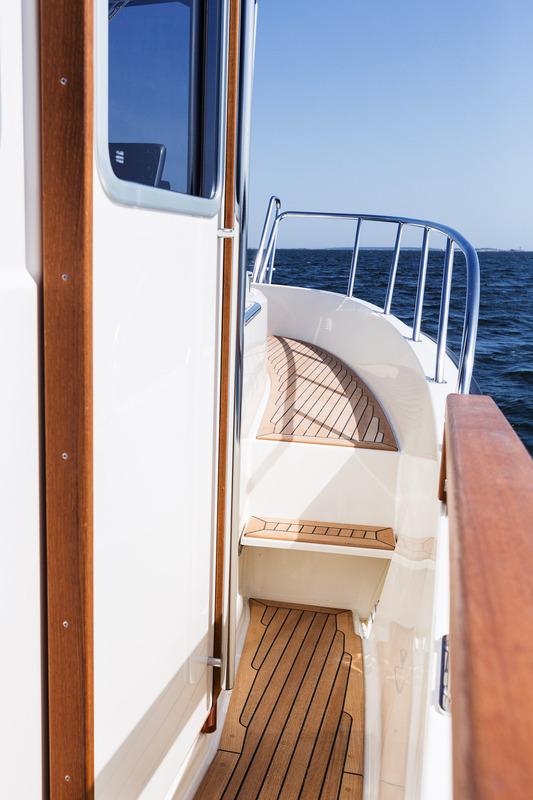 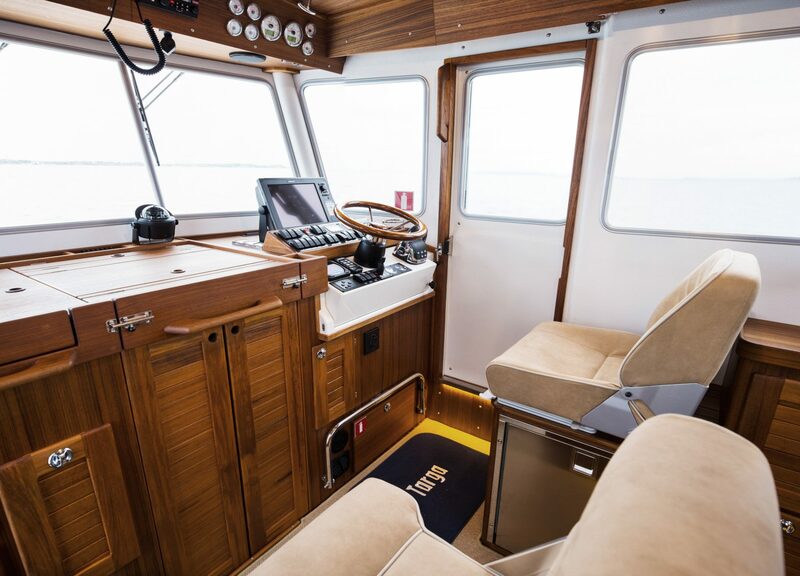 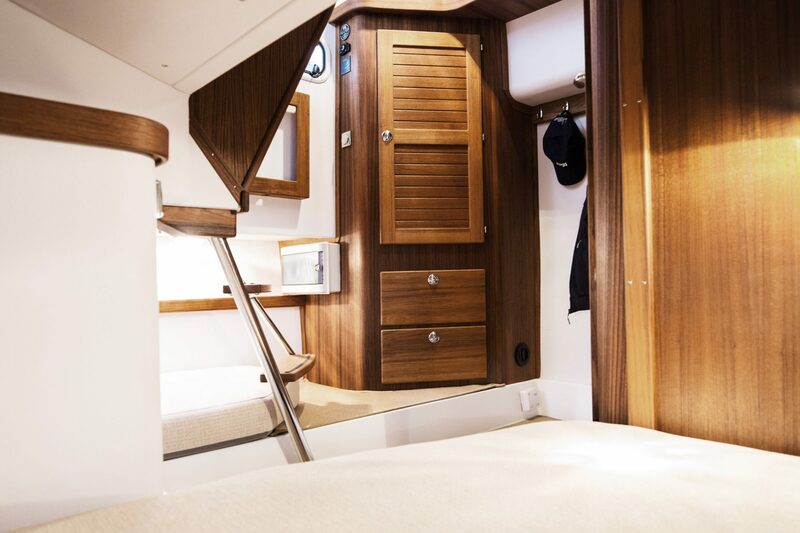 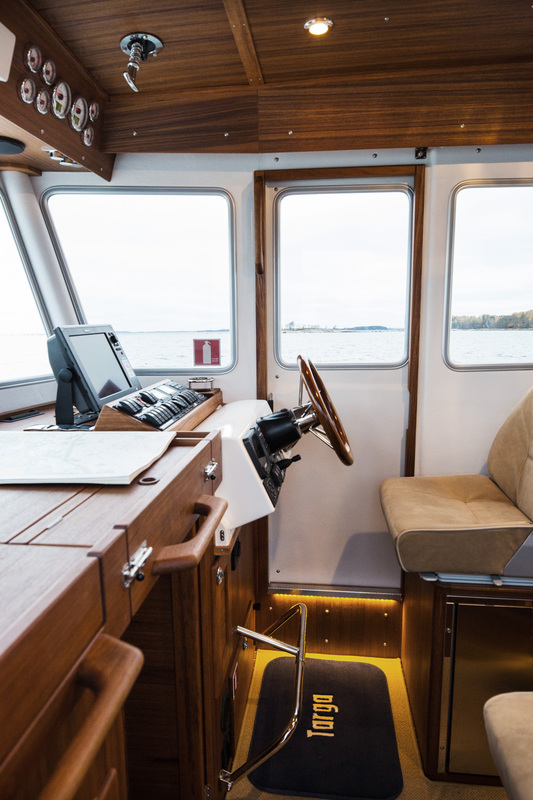 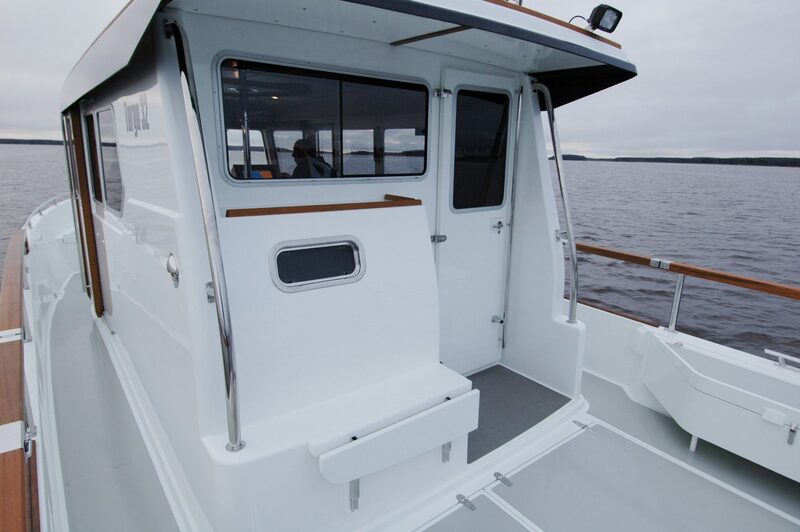 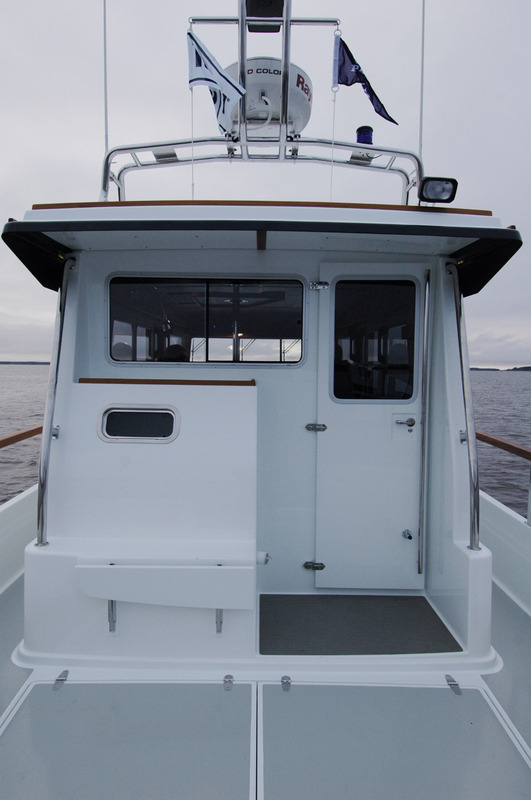 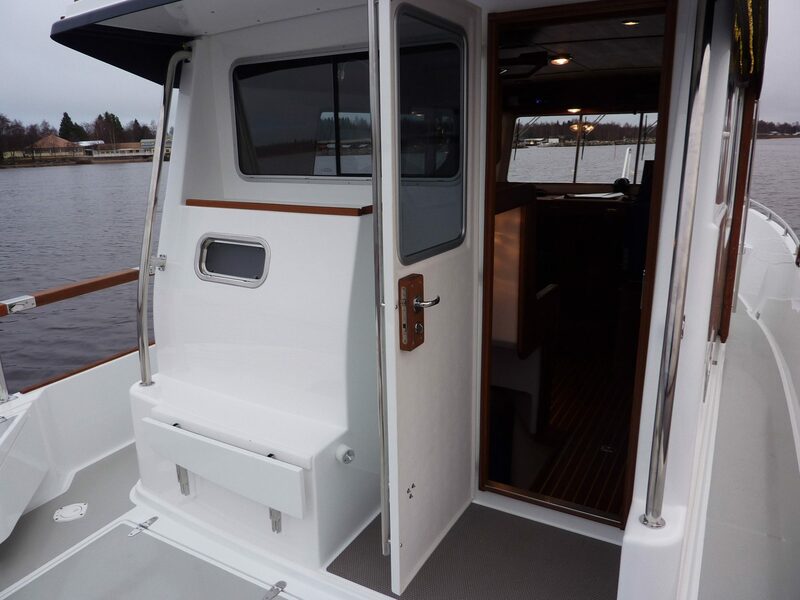 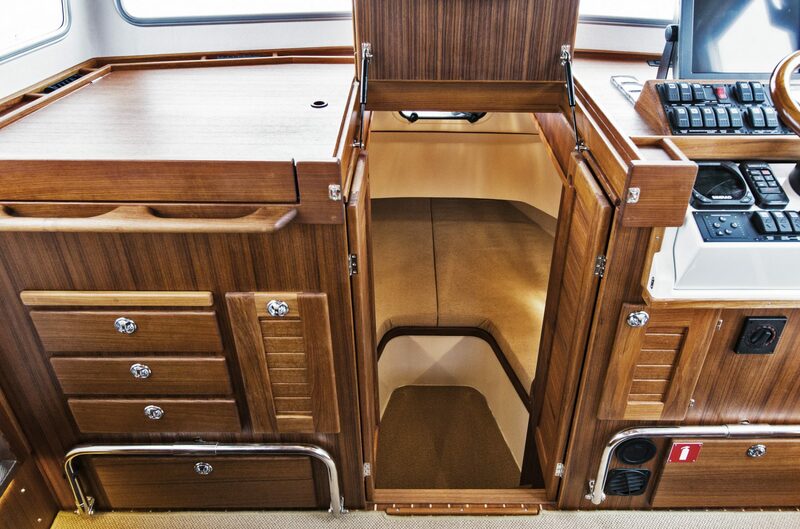 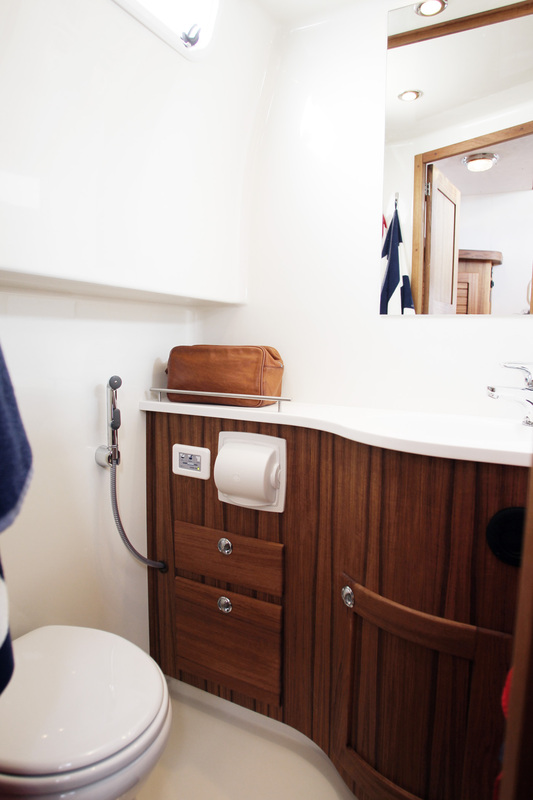 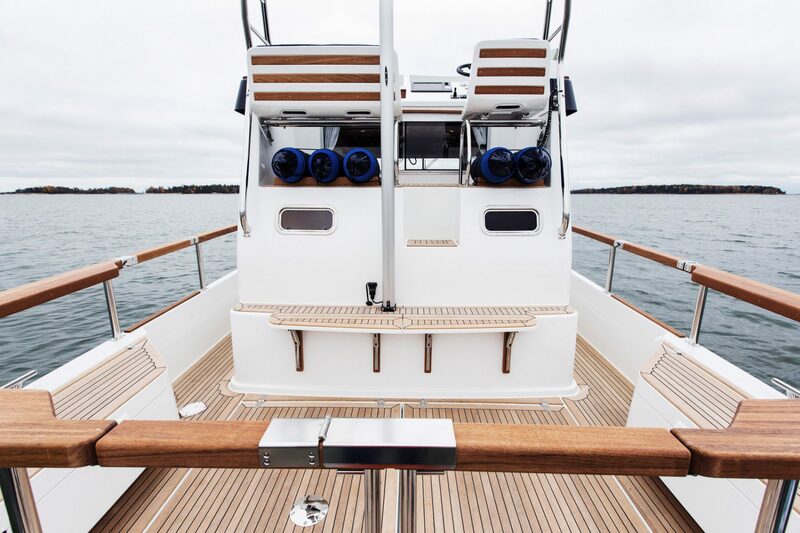 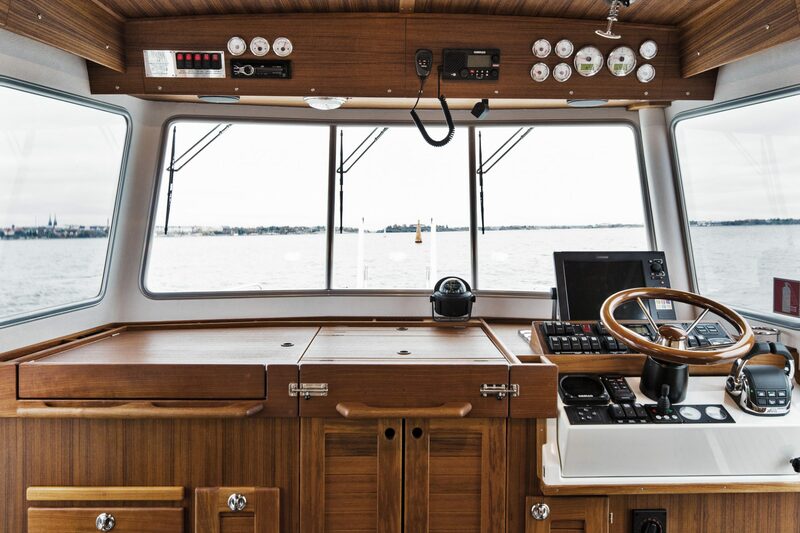 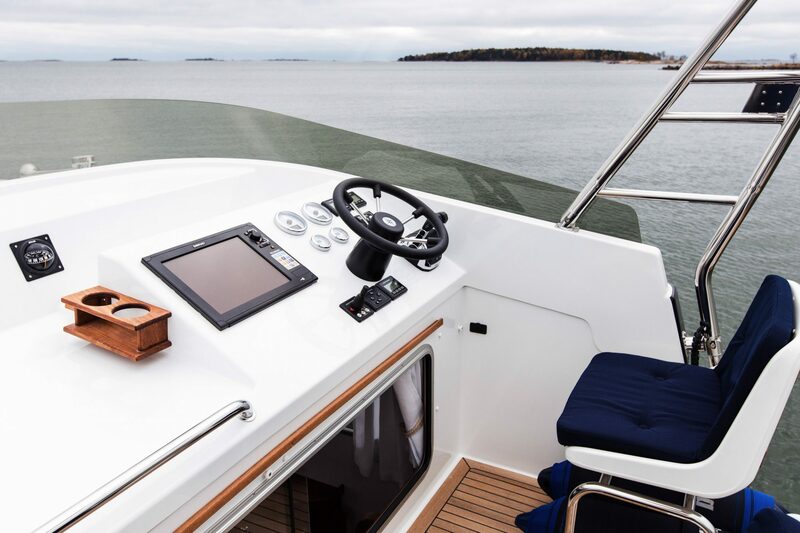 But it still comes with plenty of unique design features, including a larger fore cabin and a more spacious toilet in the aft cabin. 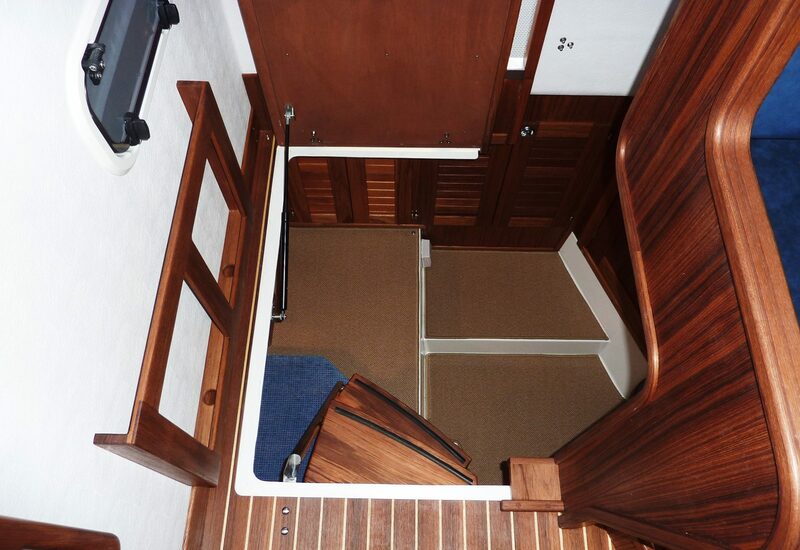 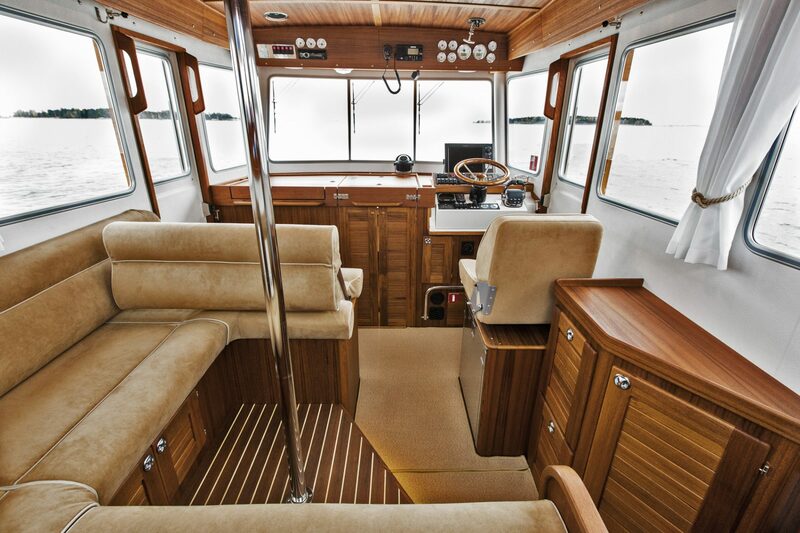 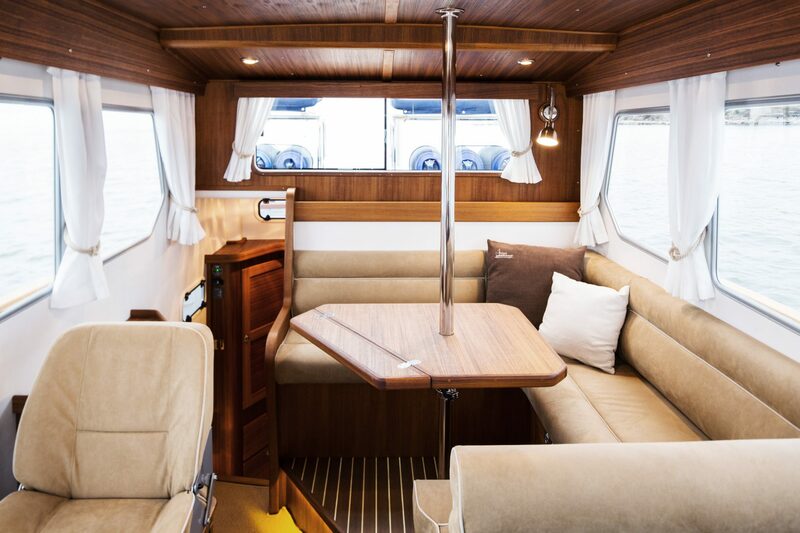 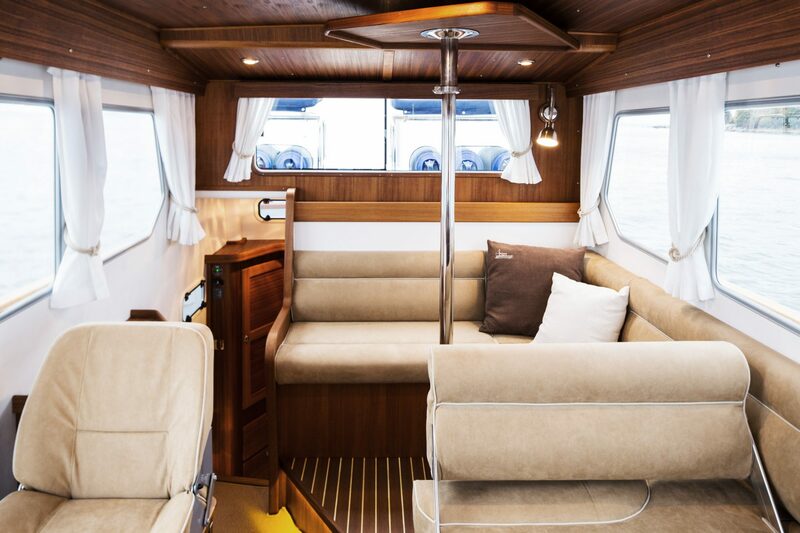 The “Comfort Fore Cabin” option is also available for the T32. 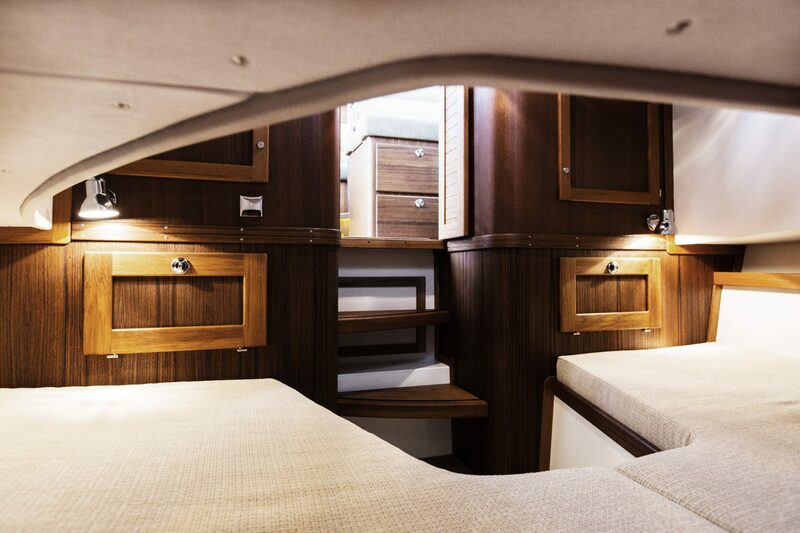 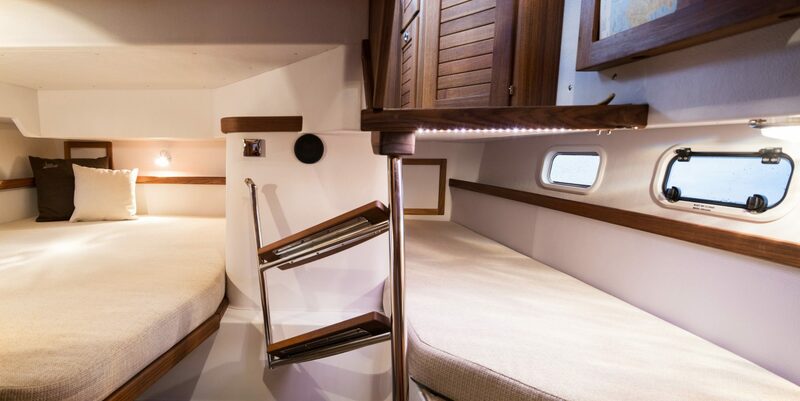 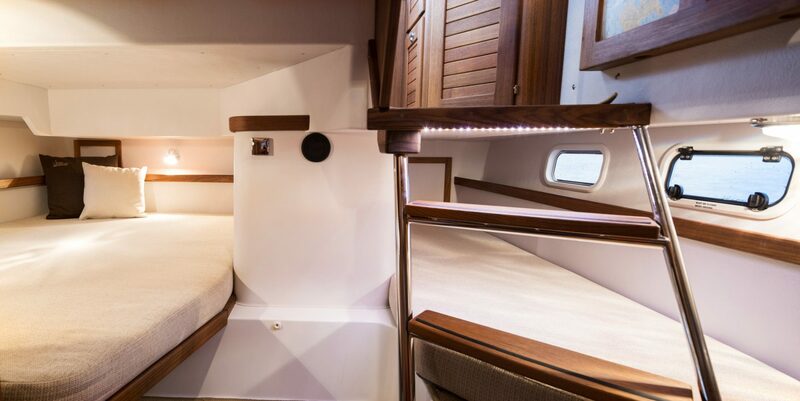 You get a more spacious fore cabin with no less than five different bed layouts to choose from. 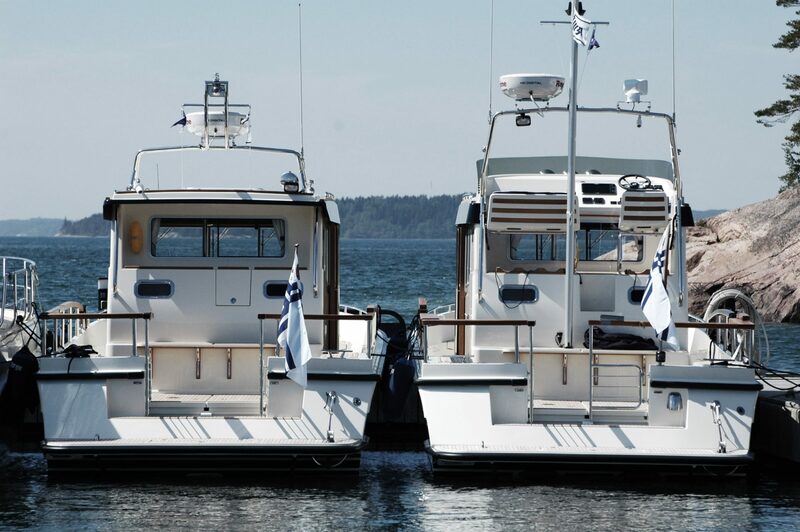 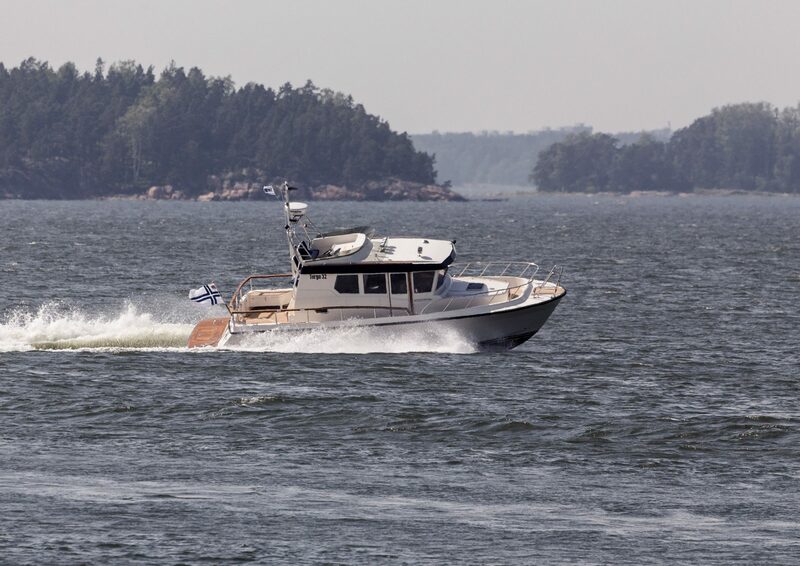 (2×260 HP) approx. 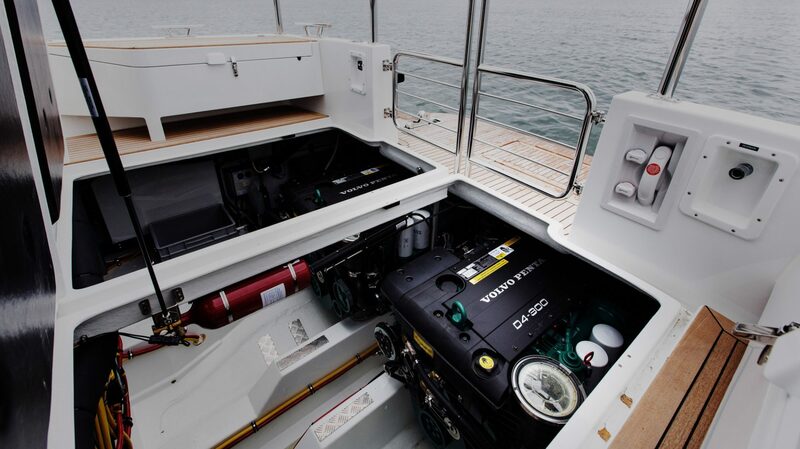 2,3 L/N.M. 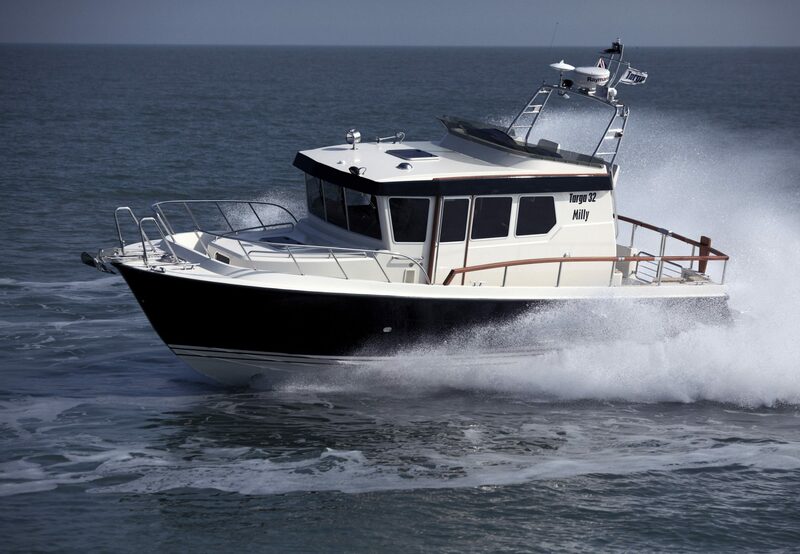 * Length overall, often abbreviated as (LOA, o/a, o.a. 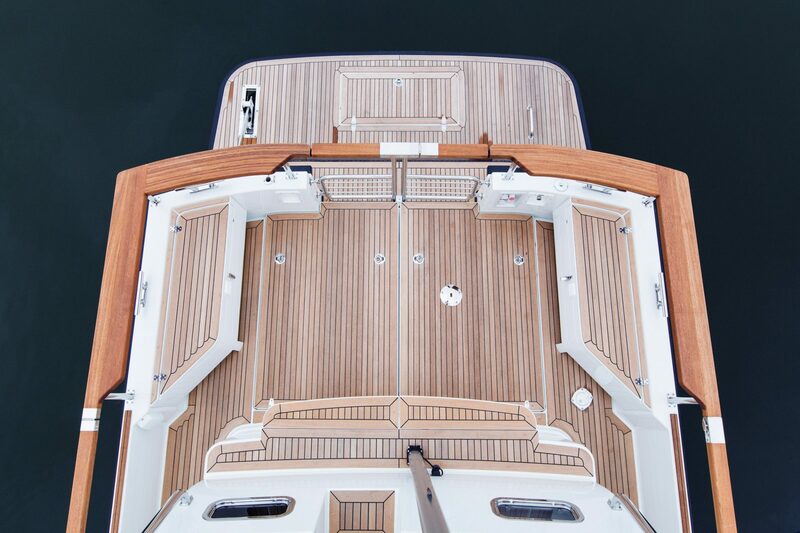 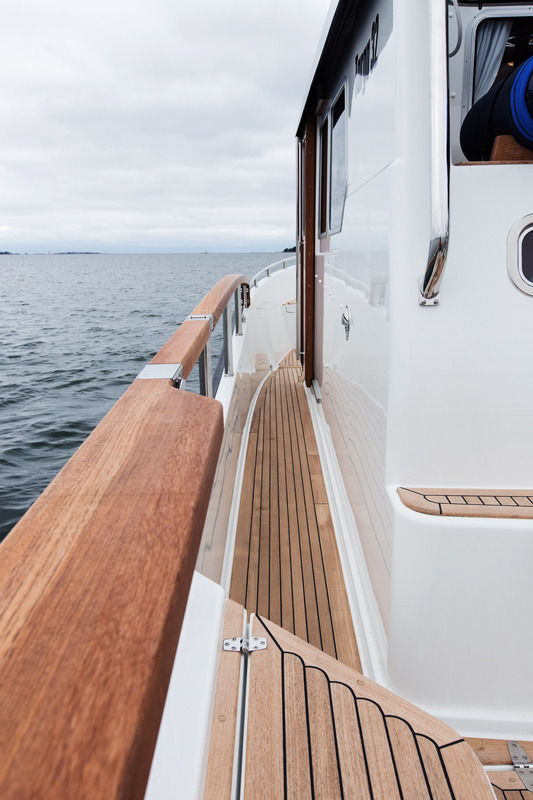 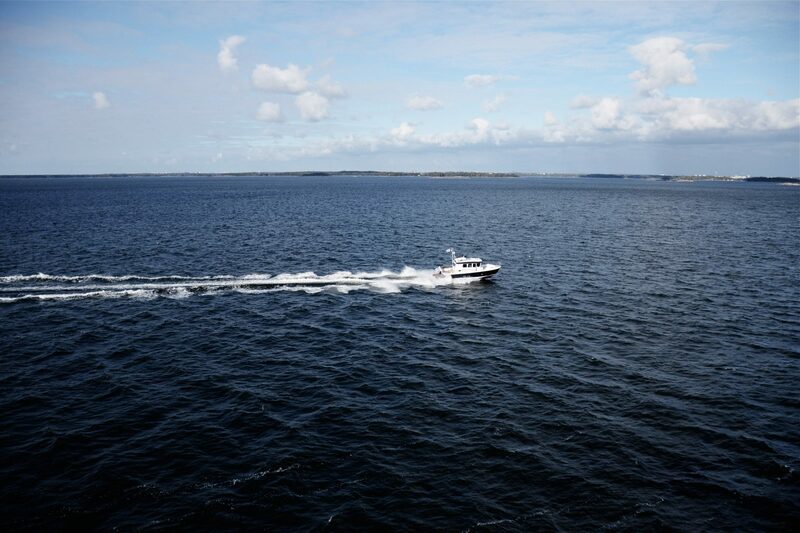 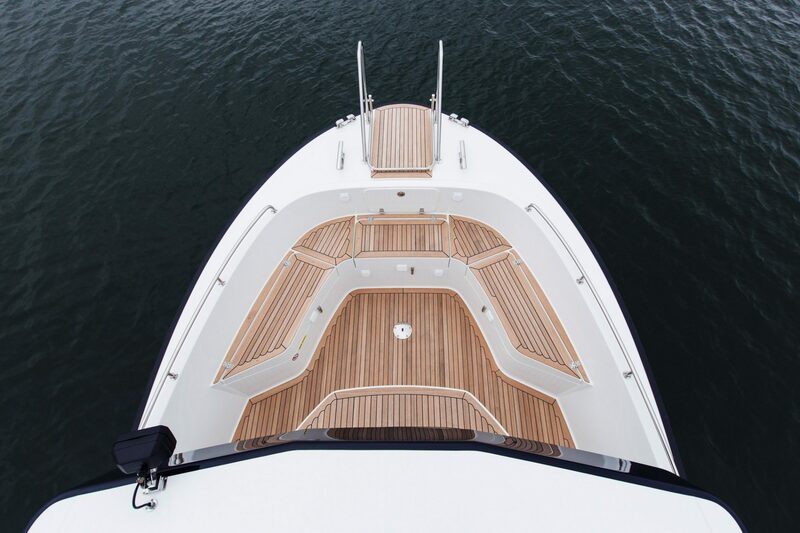 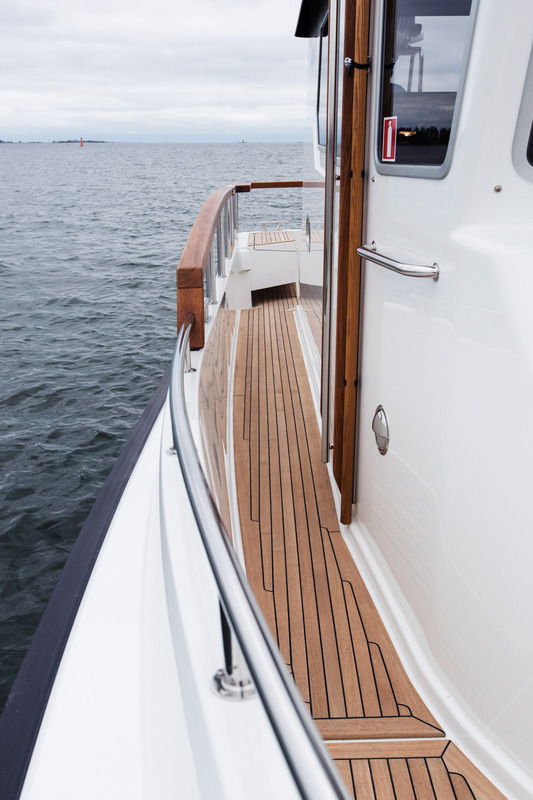 or oa) is the maximum length of a vessel's hull measured parallel to the waterline. 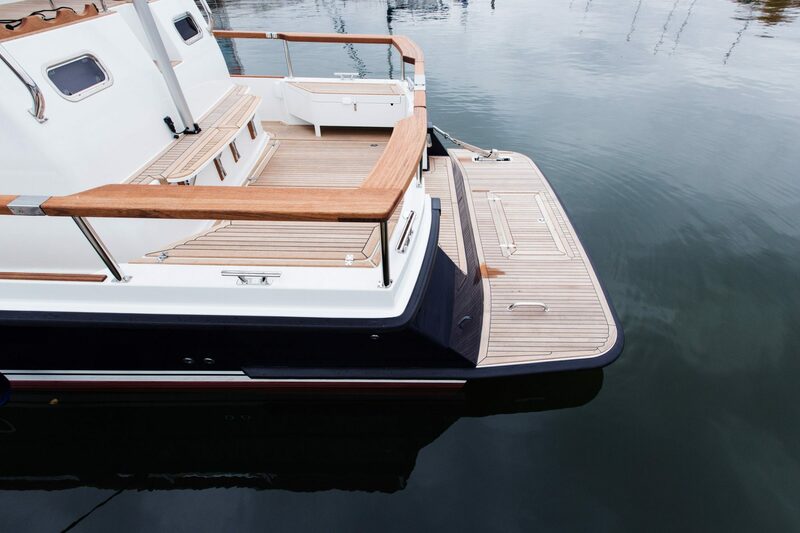 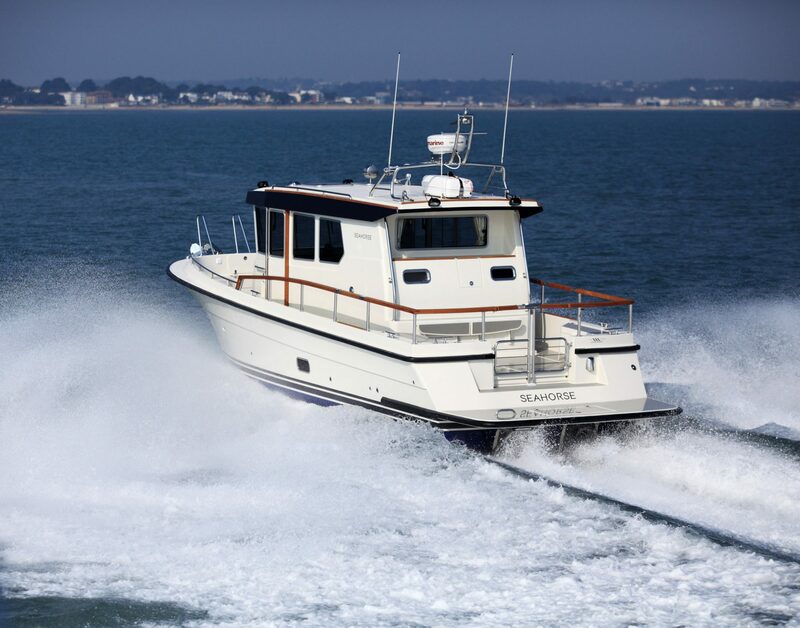 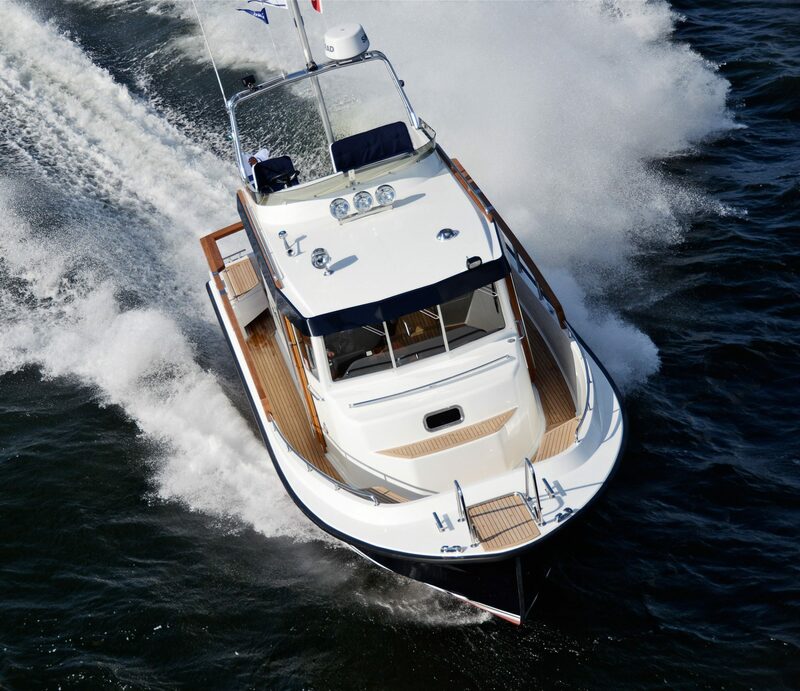 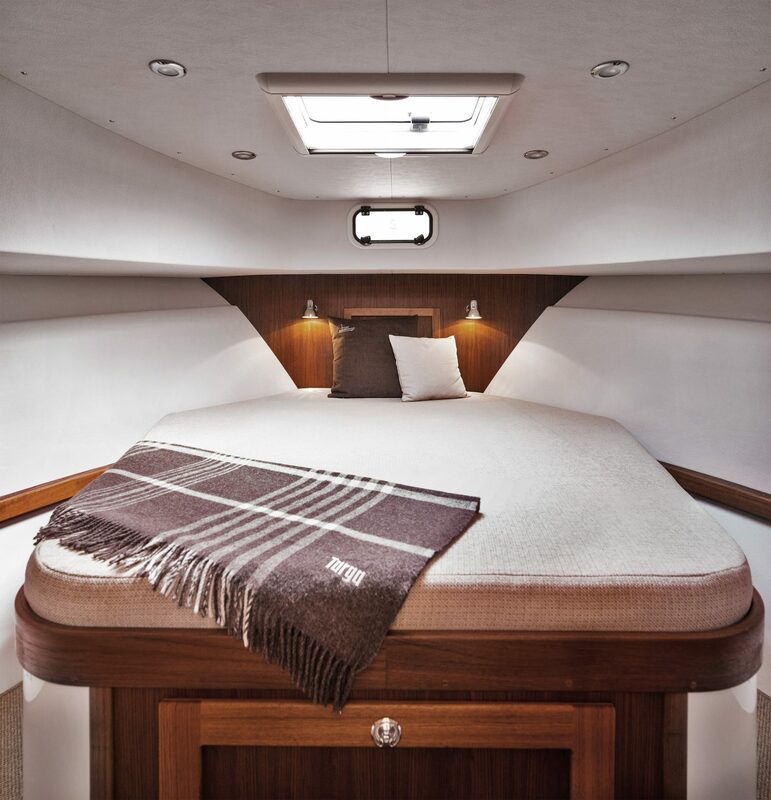 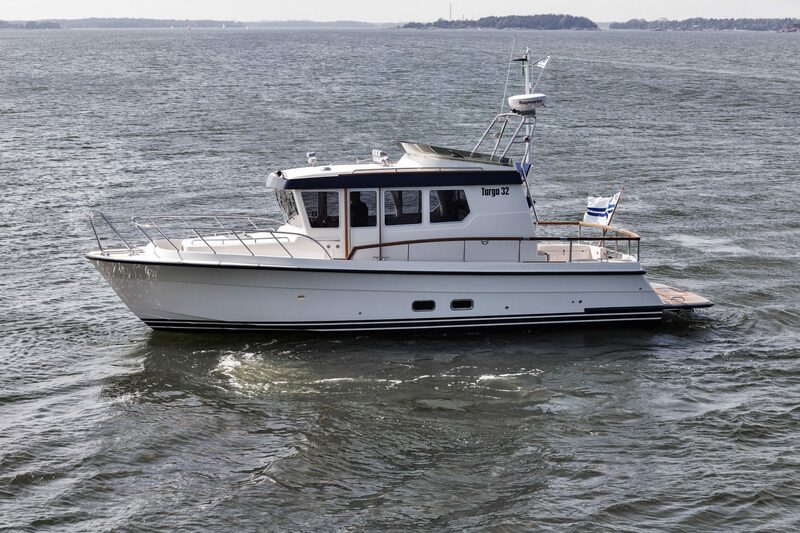 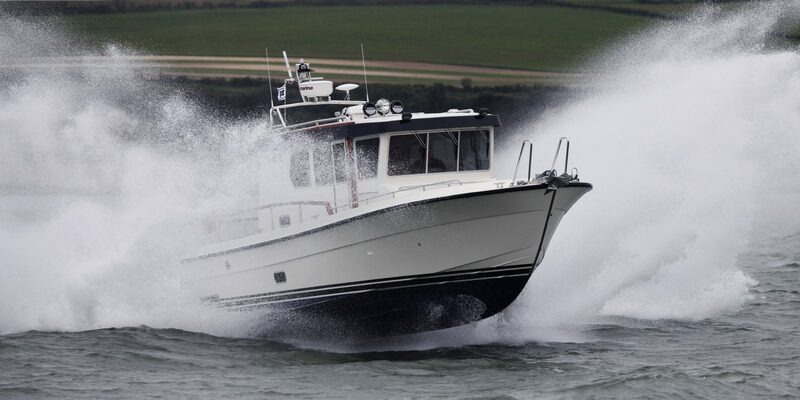 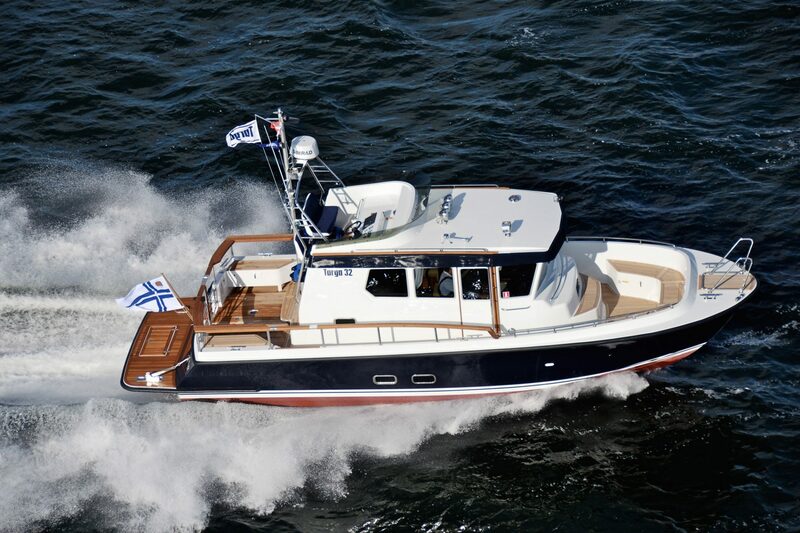 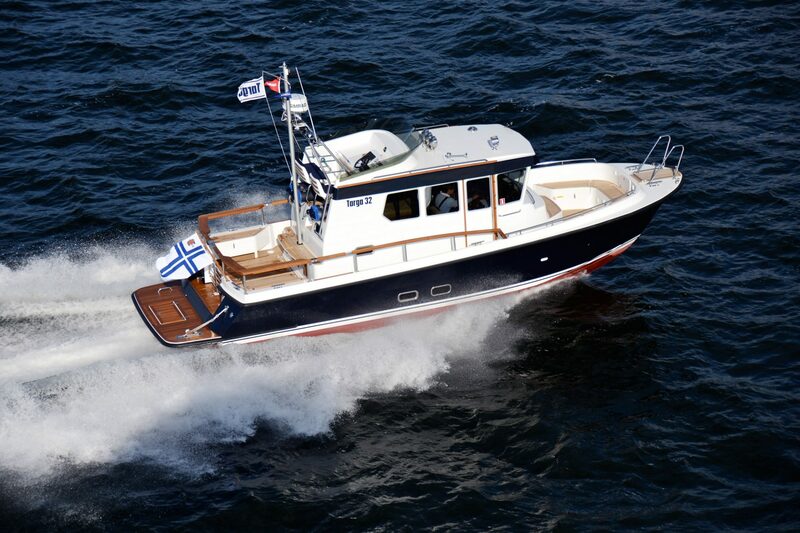 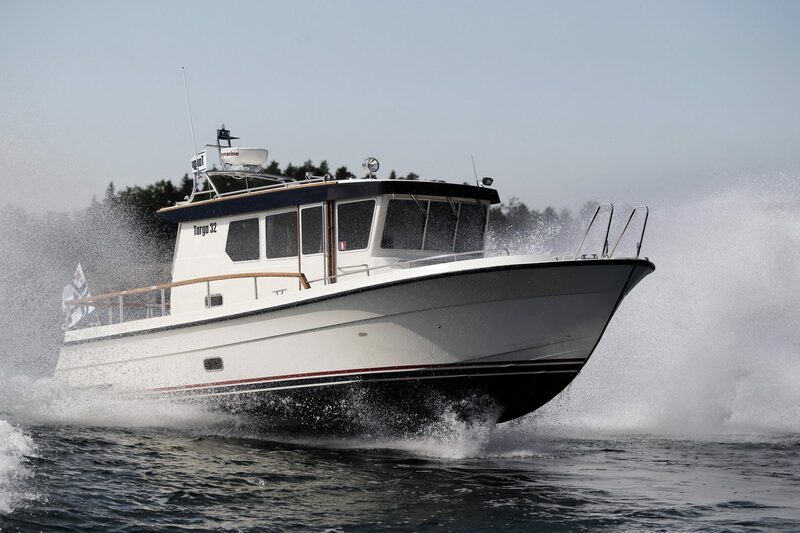 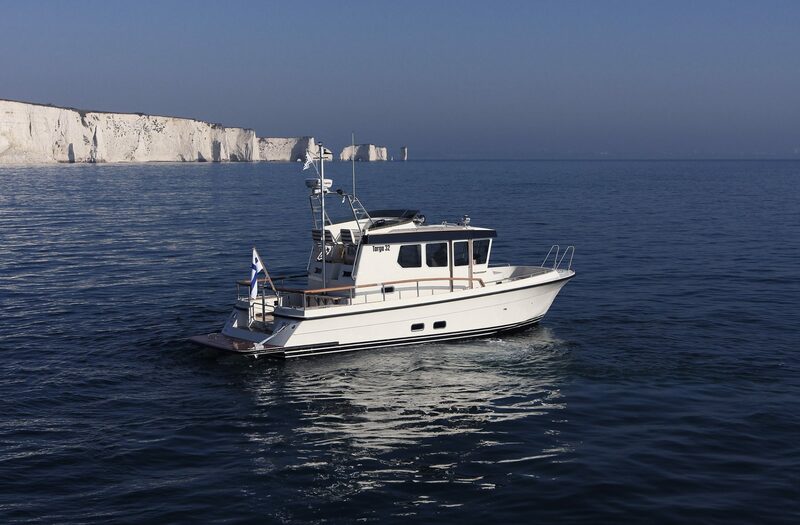 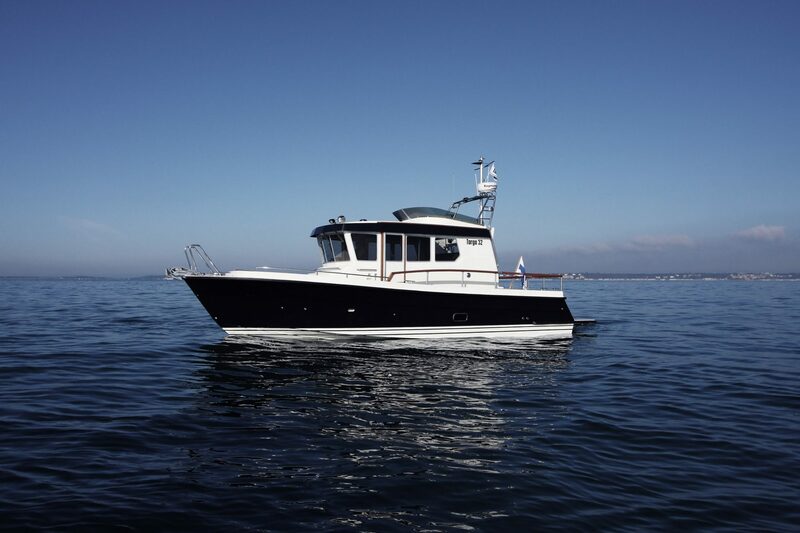 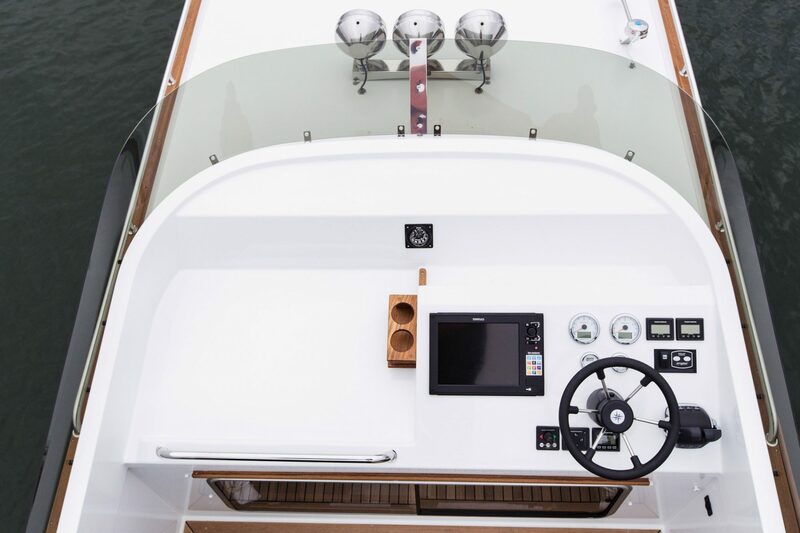 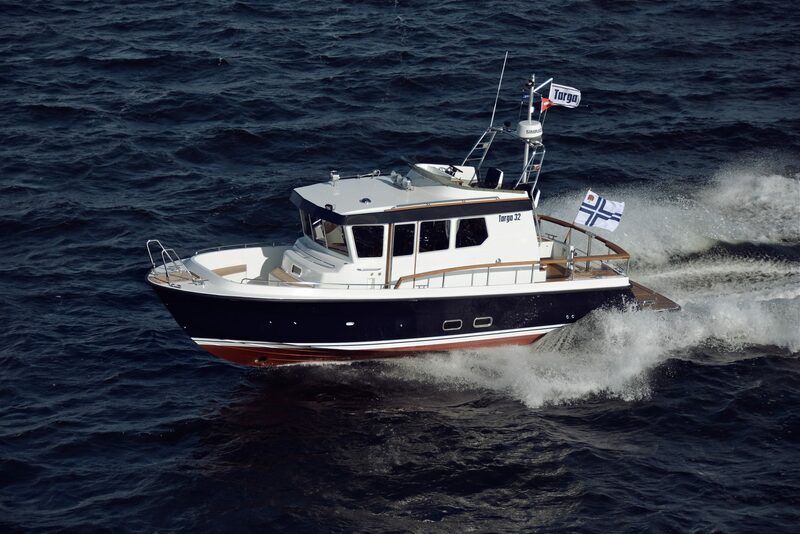 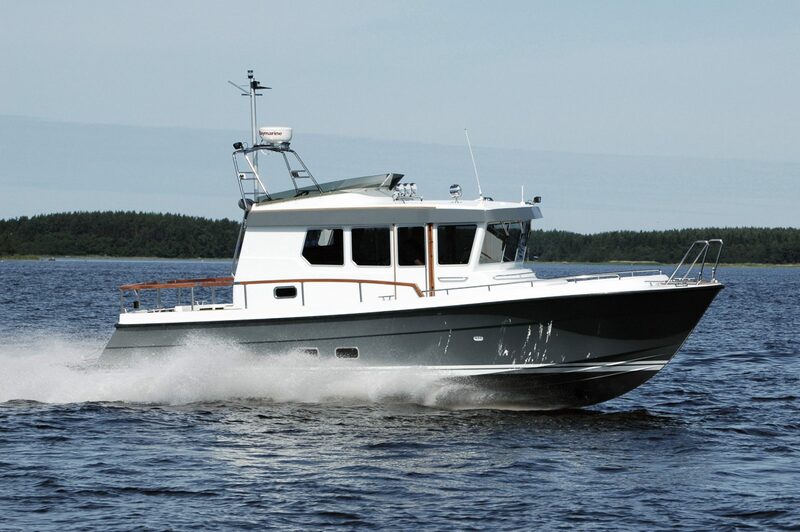 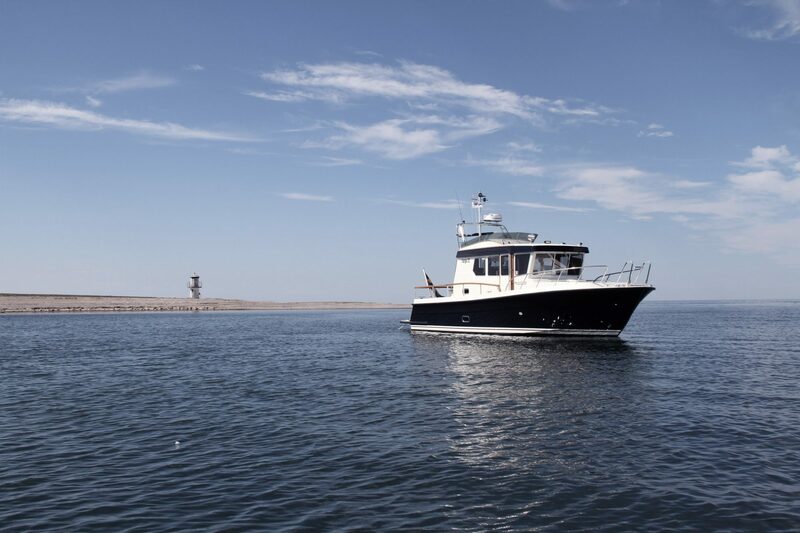 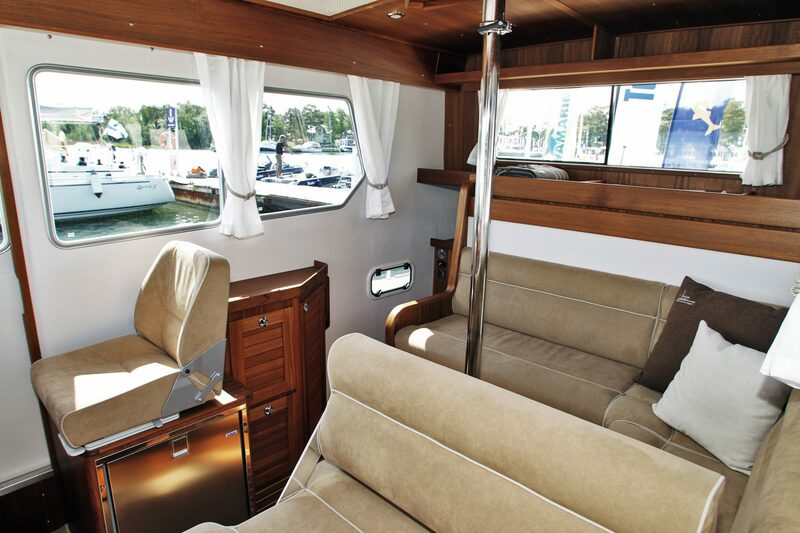 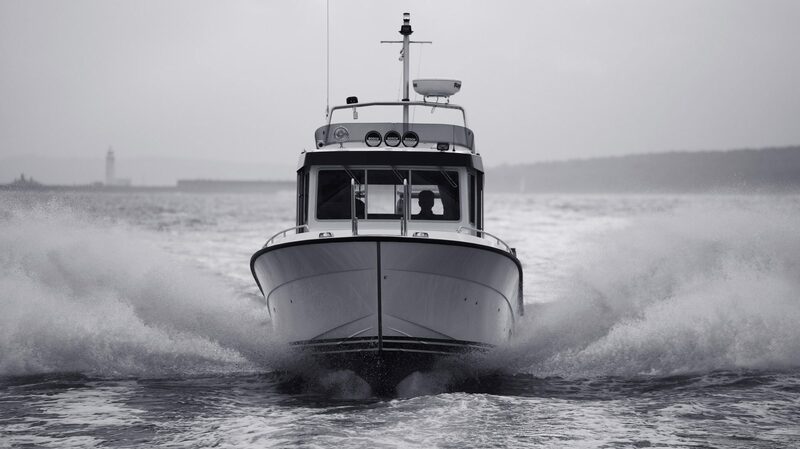 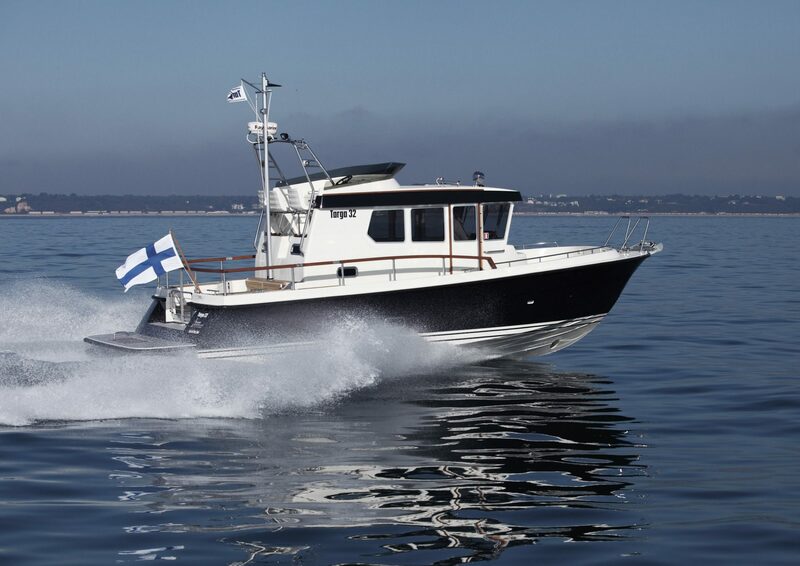 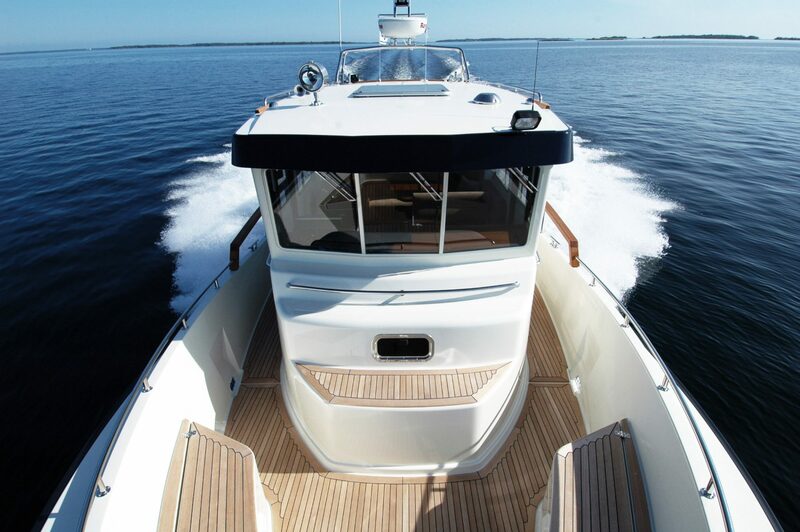 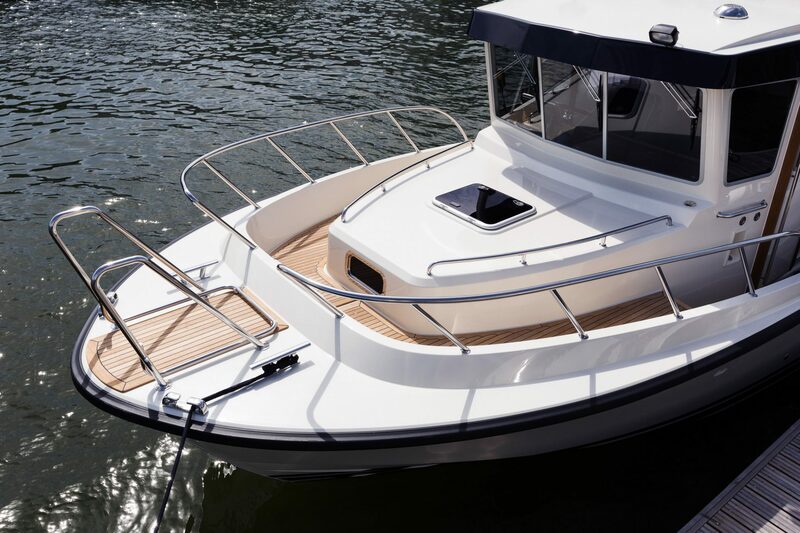 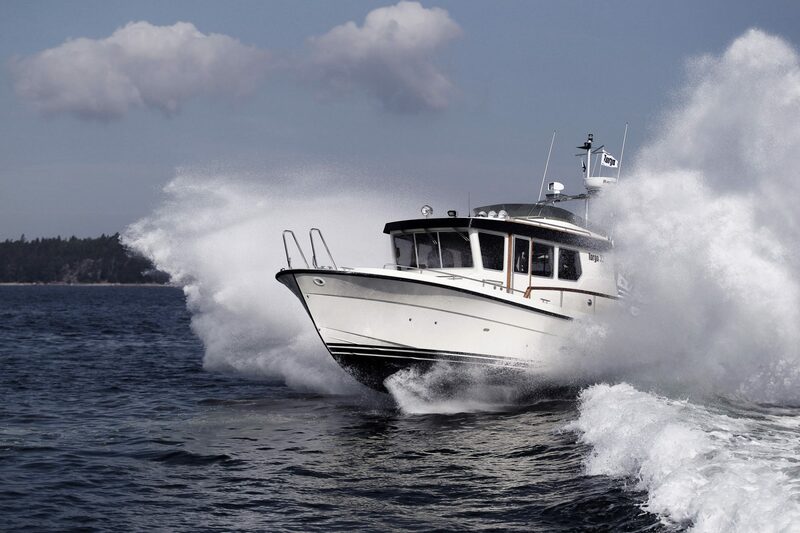 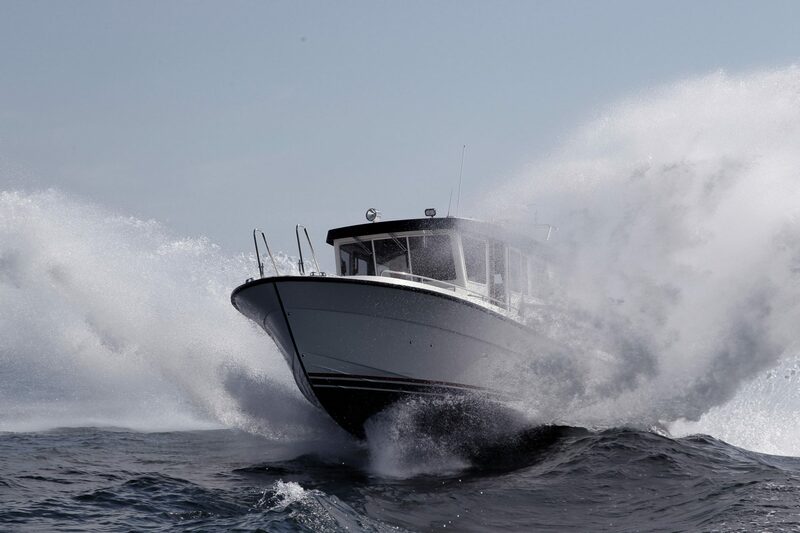 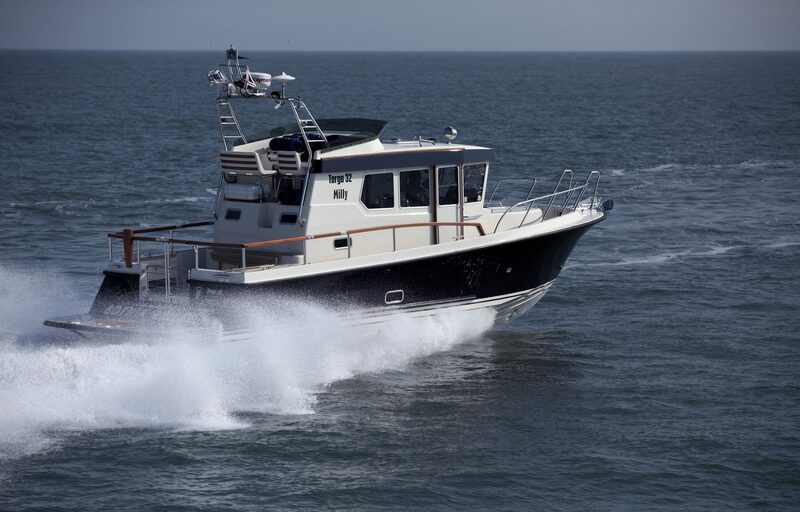 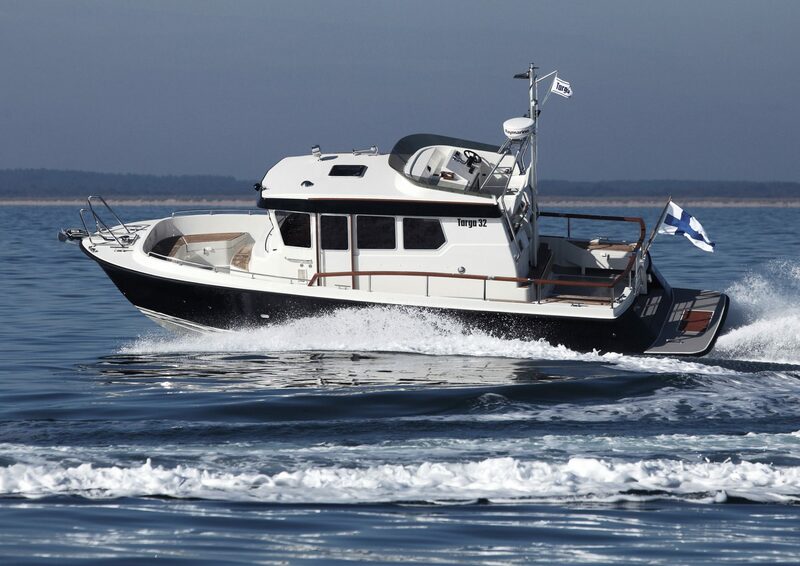 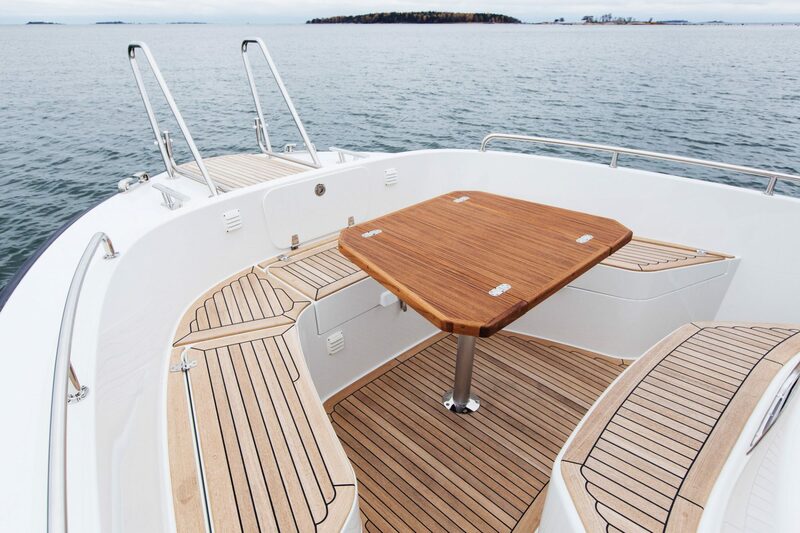 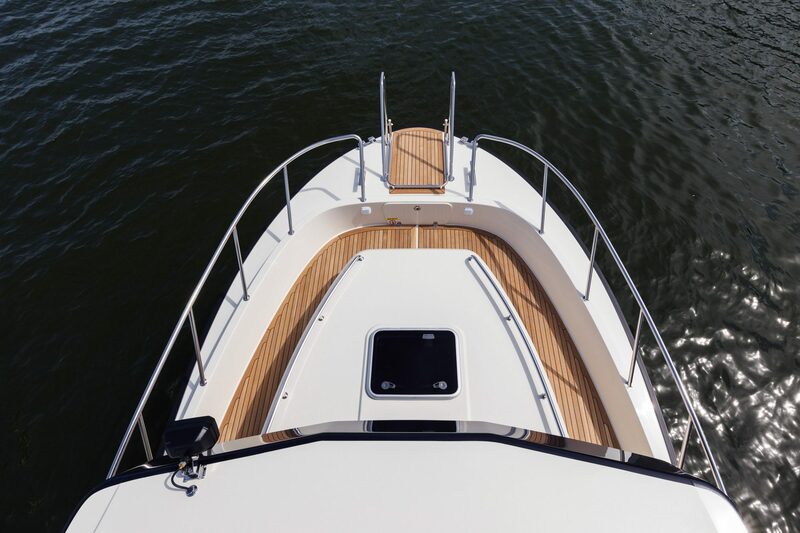 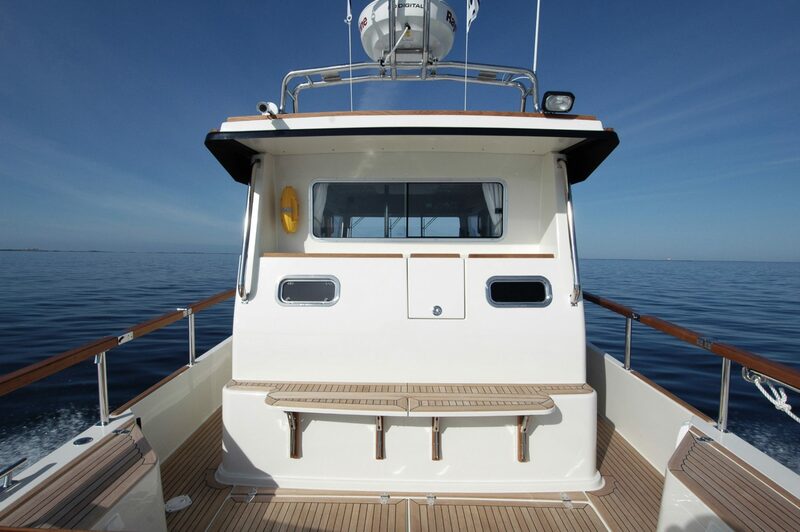 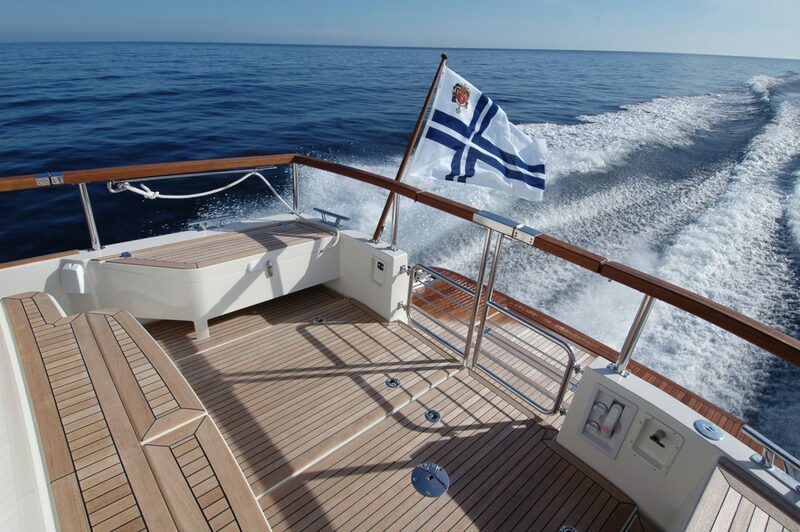 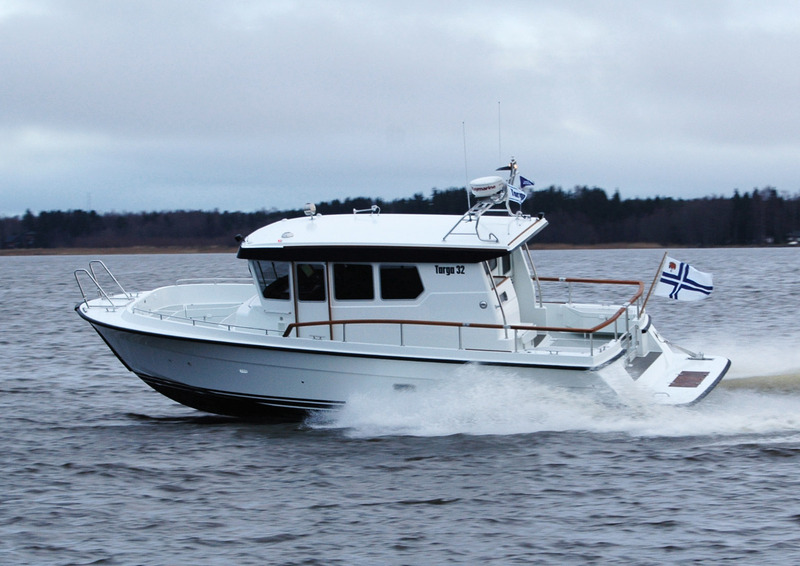 28 June 2011 – The all new Targa 32!